Out of Actual Rent received Deduct cost of common facilities such as lift maintenance charges, lighting of common stairs, salary of common gardener and watchman, pump maintenance charges etc. Water and Electricity charges are to be Deducted only if it is expressly mentioned that rent included them. Out of Municipal Rental Value (MRV) or Fair Rental Value (FRV)whichever is higher is selected as Expected Rental Value (ERV). In case Standard Rent under Rent Control Act is given then the comparison is made between the Standard Rent and ERV and whichever is Less is selected as ARV except when Actual Rent is more than ERV. Out of the ARV selected as per above, amount of Local/Municipal Taxes ( Municipal Taxes, Water Tax, Sanitation Tax, Education Tax etc. levied by local authority ) actually paid by the owner are allowed to be deducted, Balance is Net Annual Value. One Self-Occupied House Property is Exempted and NAV is reduced to NIL. If Assesses owns more than one House and claims as Self-occupied then only one house of his own choice shall be Exempted and other Houses shall be deemed to Let-Out. 3.Part of the Year or Partly Let-Out and part of the year Self-Occupied. Treat it as Let-Out for full year and compute ARV in same manner. No benefit of Self-occupation. 4.If property consists of more than One Unit / House. Each such Unit / Flat / House shall be treated a one House and shall be given respective treatment. If a Self-occupied House Property is owned by co-owners, they shall not be assessed as an Association of Persons. Income of such House Property computed under this head shall be divided and added in their individual income. Annual Value of such House Property is also taken as to be NIL. Treated as Let Out House Property. Only one deduction of Interest on Loan taken to Purchase, Renovate, construct the house is allowed upto Rs. 30,000 or Actual Interest whichever is less . Limit has been increased to Rs. 1,50,000 if loan is taken for acquiring or constructing on or after the 1st day of April 1999 and such acquisition or construction is completed within three years from the end of financial year in which capital is borrowed. As a result, there shall be loss which can be set off from other houses or from any other head. 1. Repair Charges (restricted to 30% of Annual Value of the Property). 2. Interest on borrowed capital for the purpose of acquisition, construction, re-construction, repairs, renovation etc. Amount of Unrealised Rent is deducted out of Actual Rent received for calculating ARV if conditions are laid down are fulfilled. Deemed as income of the year in which recovered. Arrears of Rent are deemed as income form House Property of the year in which recovered but after allowing standard deduction @ 30% of such amount. Loss from House Property can be set off from Income under any other head. Loss from Self-occupied house due to interest on loan can be set off from any other head. 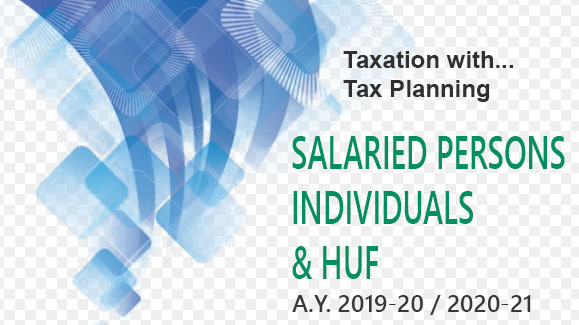 Any loss under the head “House Property” whether from let out or self occupied house which remains unadjusted, can be carried forward for 8 succeeding previous years to be set off from Income under the head “ House Property” only.